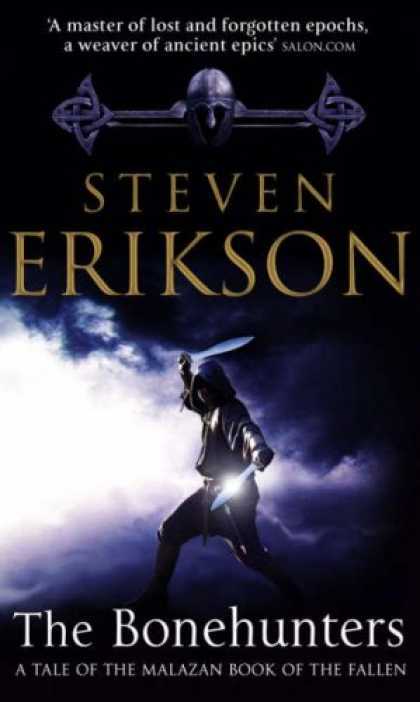 Steven Erikson's Malazan Book of the Fallen helped breathe new life into fantasy fiction, although it still has something of a limited readership. But the scale and scope are astounding. 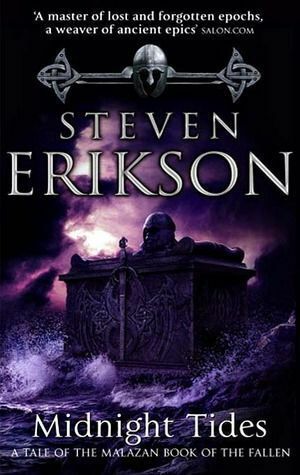 The world building is on a scale far beyond anything I have ever read, to the extent that one may never get tired of the world Steven Erikson and Ian Esslemont built. The writing is beautiful, poignant, and philosophical, with wit and charm and humour unlike much we find in fantasy fiction. This series, in my mind, is without a doubt among the best work of fantasy fiction over the past fifty years. 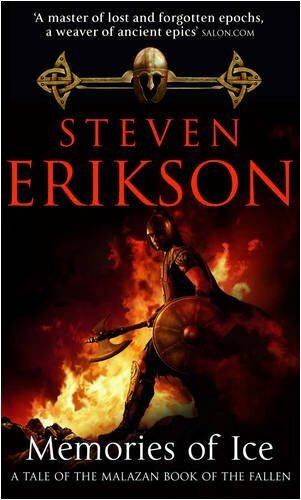 So how do we rank Erikson's Malazan Book of the Fallen? 10. Gardens of the Moon. Don't get me wrong, Gardens of the Moon is worth your time. After all, it introduces readers to the legendary Bridgeburners, Anomander Rake, Ganoes Paran, Shadowthrone, and the Rope. And readers are immediately exposed to a world in which mere mortals serve as mere pawns and cannon fodder in the unclear games of gods and demigods. But it is still a rather difficult entry into the Malaz world. I have known a number of people who quit the series after failing to slog through this book. And I understand their pain. The writing and pacing is uneven, and it takes time to get invested in the characters. It can be wordy and confusing. But slog through we must to appreciate the true genius of this series. 9. Dust of Dreams. This ninth book in the series (and first half of the denouement) offers a lot in terms of action and drama. The Bonehunters slog across the eastern wastelands, along with a number of characters we've come to know and love. The K'Chain Che Malle storyline in particular is fun to read. But Dust of Dreams included far too many subplots and characters that I simply did not care about. The Icarium storyline detracted from the pacing of the book. I couldn't bring myself to care about the travels and travails of the Snake. Moreover, I had loved Tool so much as a T'lan Imass, but for some reason could not connect to his new plot with the Barghast. 8. Reaper's Gale. 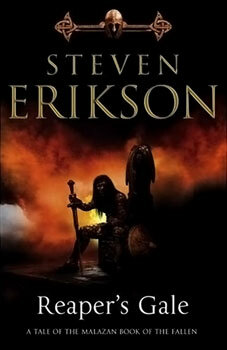 Another bloody and action packed book in the Malazan world. Like Dust of Dreams, this book had a few too many narrative arcs that bogged the overall storyline down. Just to give a few examples, the Refugium arc as well as that of the Shake. And we have a rather strange denouement/new arc of the Icarium storyline. But Tehol Beddict and Bugg never disappoint, always providing the few hysterical laughs to lighten up the somber and often bloody world. We finally have the pure entertainment of the Bonehunters entering Letheras. And expect more awesomeness from Karsa Orlong, in particular. If you didn't think you could love him more... you can! 7. House of Chains. Yes. A book dedicated primarily to the wonders of Karsa Orlong. He begins his legendary journey in Genabackis which will take him across the seas, to the Holy Desert Raraku and Sha'ik's side. Karsa Orlong is the epic anti-hero we never knew we wanted and never thought we'd come to respect. The only issue I had with the Karsa Orlong story was the fact that it got off to a slow and somewhat meandering start. Meanwhile, Adjunct Tavore mobilizes the Malazan Army to fight against the rebellion known as the Whirlwind in the Holy Desert. 6. The Bonehunters. This is another excellent (and long) instalment in the series. The Malazan Fourteenth Army has destroyed the Whirlwind and continues its mop-up operations. The siege at Y'Gatan in particular is intense and a real wonder to read. Meanwhile, Dujek Onearm's host finds itself at the Seven Cities, confronted with a deadly plague. One of the best aspects of this book is the way the Master of the Deck, Ganoes Paran, decides to deal with this nasty plague. This volume also has a number of wonderful Quick Ben and Kalam scenes. 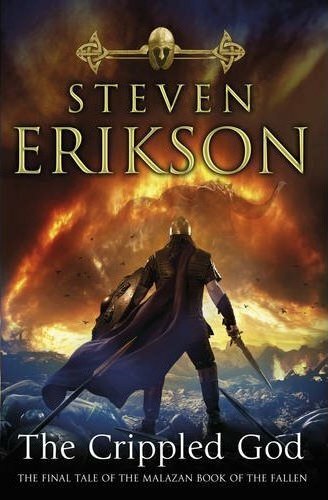 Yet despite how good a read The Bonehunters can be at times, it is still only mediocre when compared to the rest of Steven Erikson's Malaz world. 5. The Crippled God. An excellent ending to the series. As usual, Erikson answers some questions, but leaves many, many more unanswered or somewhat ambiguous. It conveys conflicting worlds of misery, heartbreak, and hope at the same time. And it completes Erikson's inverted tragic form. A worthy, worthy ending. 4. Midnight Tides. This is perhaps the most divisive book in the series but one of my personal favorites. The storyline follows Tiste Edur noble Trull Sengar, who watches in horror as his own people [led by his younger brother] abandon Father Shadow to follow the Crippled God. But the horror of Trull Sengar's story is offset by the wondrous humour of Letherii citizen Tehol Beddict and his manservant, Bugg, as they both seek to collapse the economy of their homeland. Tehol Beddict and Bugg make this story a true joy to read. 3. Toll the Hounds. This is a shocking ranking for me. 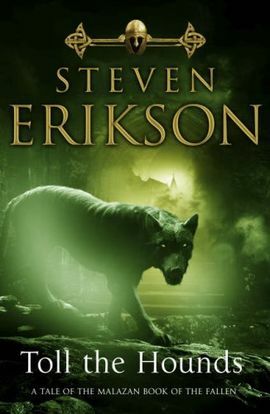 After all, during my first read through Toll the Hounds was easily my least favorite in the series (along with Dust of Dreams). But I found so much more to enjoy my second time through. This book is really, really good. Excellent, even. I really enjoyed the Darujhistan storyline, as well as the development of Nimander. We also witness the convergence of Karsa Orlong and Traveller, Hood and Anomander Rake, Kallor and Spinnock, and Iskaral Pust and Kruppe!!! 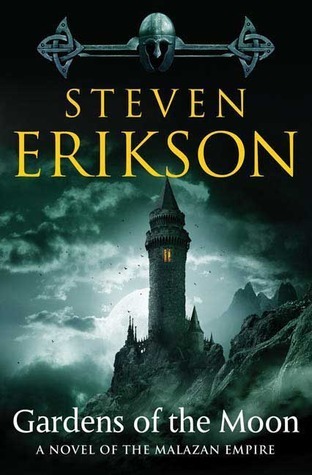 Erikson weaves so many storylines and themes [such as redemption, vengeance, and the eternal presence of the past] together in a seamless and deft manner, making this one of his masterpieces. 2. 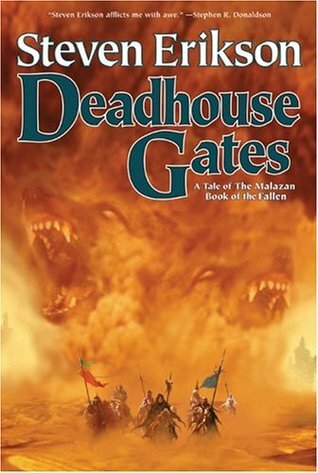 Deadhouse Gates. I had rated this at #1 my first time through. But during my second read, it lost by a hair's breadth to Memories of Ice. Even at #2, however, this is a classic. Coltaine's Chain of Dogs is guaranteed to reduce even the most hardened of souls to a whimpering puppy. This tale of heroism, of defying the odds, and of betrayal is oddly even more compelling owing to the grim nature of the way it is told. Fiddler's journey with Mappo Trell and Icarium is no less poignant. And thank god for Iskaral Pust, a man who helps provide the necessary comic relief to punctuate this dark but poignant tale. 1. Memories of Ice. 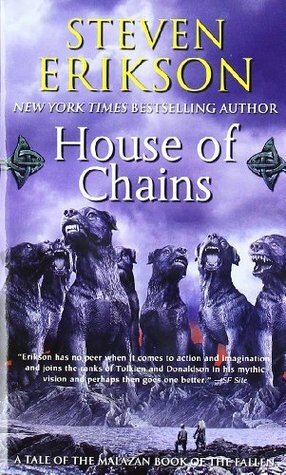 Despite the wonders of Coltaine's Chain of Dogs in Deadhouse Gates, it is with Memories of Ice that the true, heart-wrenching sorrow of this series starts to kick in. This book also served as a warning: none of your characters are safe--anyone can be killed off at any time, and for any reason. But that's just the beginning. Every story arc in this book is beautifully done. I became invested in each and every major character, from Gruntle and Tool to Whiskeyjack and Itkovian. And Erikson includes a few flickers of joy to offset the true grief found throughout this novel. But what a powerful novel indeed, the best in the Malaz world.